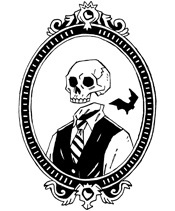 Guest Post: Alfred Hitchcock Presents and the Hitchcock Brand | Who Killed Orrin Grey? We’re into the home stretch of our November Alfred Hitchcock marathon here at the Grey household. As I type this, we’re gearing up to watch Psycho. Which means that I should have a marathon wrap-up post coming to you very soon. First of all, Hitch’s movies were being constantly replayed on television at this time – and this was back in the day when you had to catch something when it was on, or you risked not having the chance to see it again for years and years (thus, every movie was an event – paid attention to closely and imprinted on your mind for dissection with your peers or on your own). I won’t bend the truth here – I’ll admit that most of the Hitchcock films I saw as a child did not hold my interest, or at least didn’t begin to until I hit my teens. Like a lot of Western movies, it would take an adult’s perspective for me to later grow to appreciate subtle nuances like character dynamics and plot development – at that age, I was looking to be scared. Understandably, certain ones did stick. The Birds, obviously, and I remember being severely discomfited by Marnie and the bits I saw of Frenzy (understandably so). Psycho was, like Night of the Living Dead, one of those rare cinematic grails that eluded me for quite some time. I saw more pop-culture references to Psycho (Anthony Perkins on Saturday Night Live and a particularly funny segment of Don Adams’ old game show Screen Test both leap to mind) than I had chances to see the actual film. Then there were the paperback anthologies – Death Bag, Scream Along with Me, Stories They Wouldn’t Let Me Do On TV, Breaking the Scream Barrier and the like – all stuffed with stories culled from genre and pulp classics or the equally omnipresent Alfred Hitchcock’s Mystery Magazine (which must have been a favorite of my deceased Grandfather as I discovered a stash of them in my Grandmother’s back pantry in Sheepshead Bay, Brooklyn). Again, while I was a voracious reader of short fiction by this point in my life (thank you, bookmobile and Scholastic Scope), I didn’t have the maturity to grasp the point of crime and noir fiction but I would relish the creepy covers on the paperbacks and dip into them from time to time to discover a gem or two (in particular, I have vivid memories of a story about Jack The Ripper’s knife, and a longish science-fiction piece about an ever-growing blob of energy that prowls an isolated lake-shore community absorbing the inhabitants – this would have been “Dune Roller” from 1960 by Julian May, later filmed as The Cremators in 1972). On top of all this, Hitch was savvy enough to brand himself for the children’s market, long before R.L. Stine and the like! Wondrous anthologies like Monster Museum (with truly creepy collage artwork by Earl E. Mayan) and Ghostly Gallery were right up my alley – introducing me to genre greats by assuming I was capable of reading stories originally written for adults (like the notorious “Slime” by Joseph Payne Brennan and “The Desrick on Yandro” by Manly Wade Wellman) which I’m still convinced is the best way to get kids reading short fiction. Equally important to my young world were the Alfred Hitchcock and the Three Investigators series, which grabbed my imagination when THE HARDY BOYS proved to be a bust (as Bart Simpson said re: the Hardy’s mysteries, it truly was “always smugglers”). I could wax eloquent about the intrepid trio (and their creator/author Robert Arthur, one of Hitch’s personal editors) but I do have a time limit here. Suffice it to say, in retrospect it surprises me there was no Alfred Hitchcock anthology comic book to compete with Boris Karloff’s Tales of Mystery. 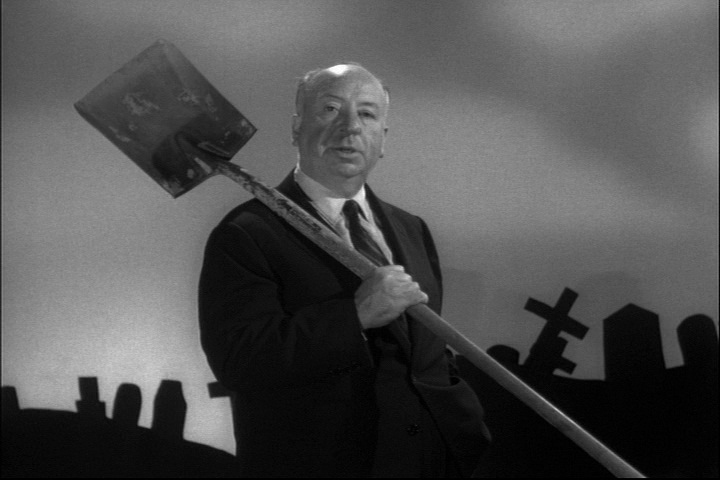 When Orrin asked if there was a Hitchcock film I’d like to write about, I asked in turn if I could compose this piece on Alfred Hitchcock Presents – probably the most important piece of Hitch branding there ever was. I loved anthology shows as a kid and while I tended to go for more fantastic fare like The Twilight Zone and One Step Beyond, it seemed like AHP was continually programmed in syndication throughout my youth. Watching the show with my mother or grandmother taught me how to appreciate subtly crafted stories of suspense and macabre humor. It stamped the figure of Alfred Hitchcock into my mind so strongly that I had no problem imagining him as a character when he showed up in the Three Investigator books – no “Hector Sebastian” (the ersatz figure they replaced Hitch with in later printings after the director’s contract deal had expired) for me! “The Glass Eye” (one of a number of episodes about ventriloquism) has a twist most modern viewer will almost certainly guess, but the deployment of it is still very disturbing. And finally, perhaps the strongest memory I have of the show is catching a repeat (in broad daylight no less) of the fifth season episode “Special Delivery”, adapted from “Boys! Grow Giant Mushrooms in Your Cellar!” by Ray Bradbury. As the plot of this episode began to unfold into the climax (a father suspects there may be something sinister in his son’s mushroom cultivating hobby), my young self began to sloooooowly and uncontrollably back out of the room, eyes fixed on the screen, fascinated but terrified of what might appear when a shadowed face came into the light. I stood in the hall doorway, ready to literally turn tail and run if the episode paid off on its suggested imagery, paralyzed but unable to not watch. It still remains one of my most pleasing memories of pure terror. I would suggest anyone who desires to experience some quality television to consider accessing the series through Netflix – you’ll get great stories (adapted from the likes of Roald Dahl, Dorothy L. Sayers, Cornell Woolrich & Ray Bradbury, just to name a few), great actors (John Forsythe, Darren McGavin, Joseph Cotten and on and on and on – memorable character actor Henry Jones from The Bad Seed is in quite a few episodes) and great directors (Robert Altman, Arthur Hiller, John Brahm, etc.). While not every episode is a winner, the show is so consistently good that I feel secure in saying that you will not be disappointed.